Leaders from 53 African countries chose Malawian President Bingu wa Mutharika as the organization's new leader during their annual summit in Addis Ababa, Ethiopia. Moammar Gadhafi of Libya had been the head of this organization for the past year. 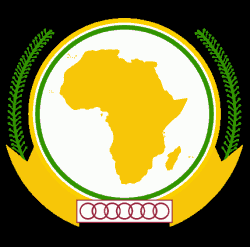 The African Union seeks to boost cooperation and solidarity on the continent. Only heads of state are chosen as leaders, a position that rotates among African regions every year.